Seduction shows how images of courtesans were constructed as objects of desire, and considers how the artistic version aligned with or departed from the reality of women's lives. Laura W. Allen offers an overview of the seductive spell cast by the floating world and provides helpful entries on each of the featured objects. 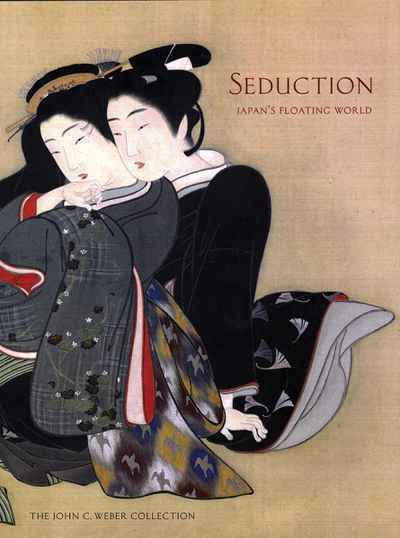 Essays by Melinda Takeuchi, Eric C. Rath, and Julia Meech introduce the floating world, consider the role of food in the pleasure quarter, and explore the feminine gaze in the Japanese print. A translation of the texts on the Hishikawa Moronobu scroll is included. The result is a fascinating study of the way that visual objects were used to convey insider knowledge about the latest fashions in clothing, hairstyles, accessories, and even games.